My church hosts small Eucharistic celebrations on week days. These intra-congregational gatherings follow a slightly altered version of the Western rite. I am one of several of the presiders who rotate responsibility. This has afforded me an opportunity to write many short homilies. These are brief and simple reflections on the texts of the day. I gave this homily this past September. I have learned that Mary has more to offer us than a simple good example. For it was in Mary, and not in Abraham, Moses, David or Peter that God became incarnate in the world. This became visually clear to me when I was in Israel this summer. 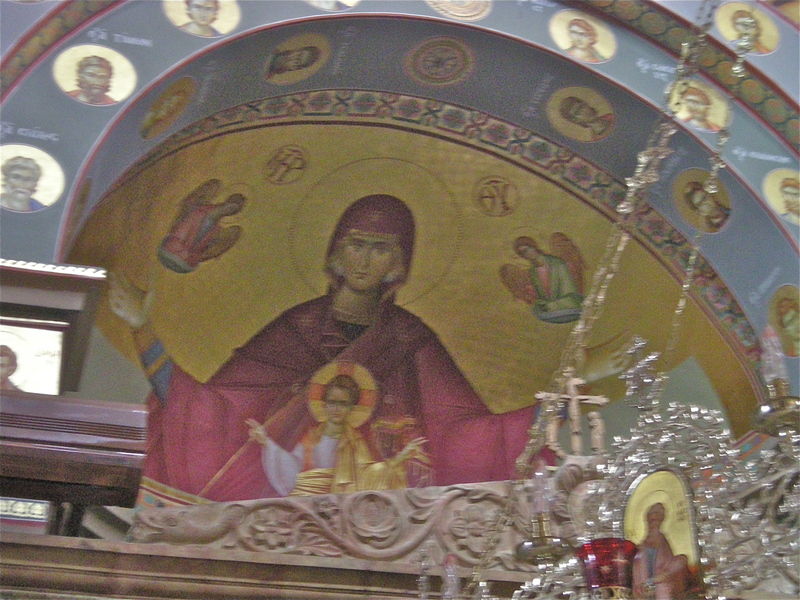 I was in an Orthodox church in Capernaum, just a few feet away from the Sea of Galilee. 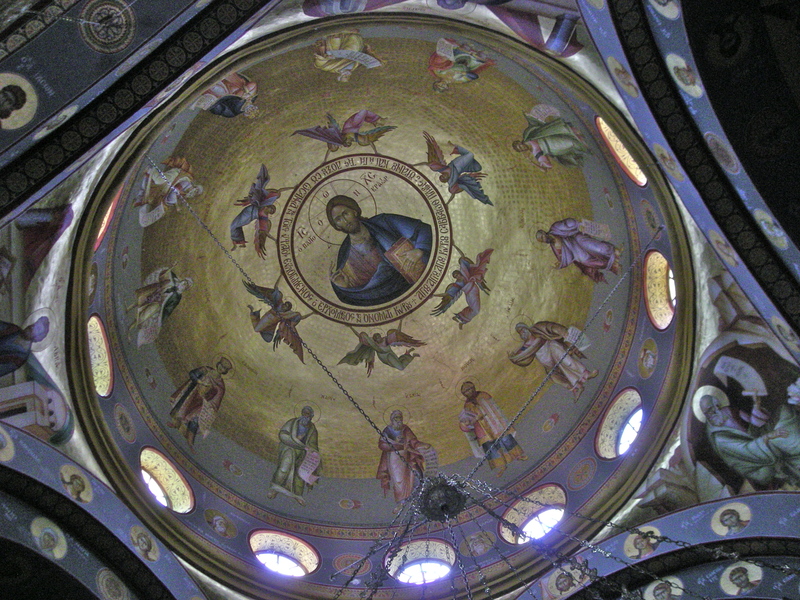 In the center of the domed ceiling was the figure of Christ, majestically seated, surrounded by a halo, six powerful angels and finally all the Apostles transfixed in adoration. There, he was removed. In the center of the dome he was untouchable. So, today we remember that the author of all of creation, who spoke stars and galaxies into existence, made himself nothing, and came among us, carried, as in a vessel, by a weak and humble servant. May we who feed here on Christ likewise carry him into the world.